The hard part is choosing how to prepare them. That list has been mimicked and recalled time and again by people who smile when they think of the effortlessly endless enumeration of shrimp’s many fine uses rattled off by Benjamin “Bubba” Buford Blue in the movie “Forrest Gump” as he worked his way, side by side with Forrest, through the mindlessness of their menial tasks in boot camp. While the Bayou La Batre-born character might seem to have offered up every imaginable preparation known to man, the wondrous ways that shrimp can be enjoyed are more than even Bubba could recite. And we along the Gulf Coast are lucky enough to have some of the most delectable kinds of these strange looking little crustaceans right off our shores. There are, of course, certain things to know in order to achieve spectacular shrimp in any prepared form. Cook them right, and you’ll enjoy plump, juicy semicircles of edible ecstasy; do it wrong, and those little suckers will be mealy mouthfuls of mush. Freshness is a factor, not that frozen shrimp should ever be ruled out. If you’re using fresh, in-season shrimp, pay close attention to appearance. Fresh shrimp have great appeal, but they need to be deveined prior to being cooked. That’s not as daunting a task as you might imagine. It’s quite simple, in fact, if you follow Navarre Seafood owner David Roberts’s advice. “Use the backside of a knife to follow along the back of the shrimp to make a shallow cut, and then remove the vein with the tip of your knife,” Roberts recommends. 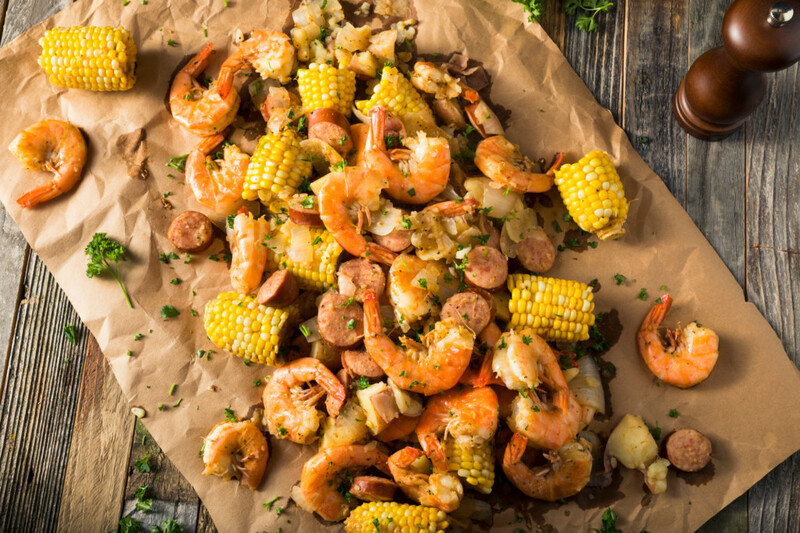 A fisherman since childhood, Roberts has been supplying Navarre with fresh seafood since 2005 and knows well the tricks of the trade, not to mention some of the best ways to cook shrimp. “Boiling or sautéing shrimp is really the most flavorful method, and because they’re so small, they take a very short amount of time to be fully cooked, and they’ll change to a nice, pink color when they’re finished,” he said. Baking or grilling also results in shrimp that make your mouth water in anticipation — just be mindful of the time. And, of course, no one can resist shrimp coated in batter and fried to a crisp, golden brown. “Frying shrimp takes only a few minutes, just watch the color of the batter as it cooks,” Valin goes on. Whatever your preference, shrimp are one more example of what makes life on the Gulf so enticing. So boil ’em, bake ’em, sauté ’em, fry ’em or grill ’em. Just make sure you’re eating ’em.